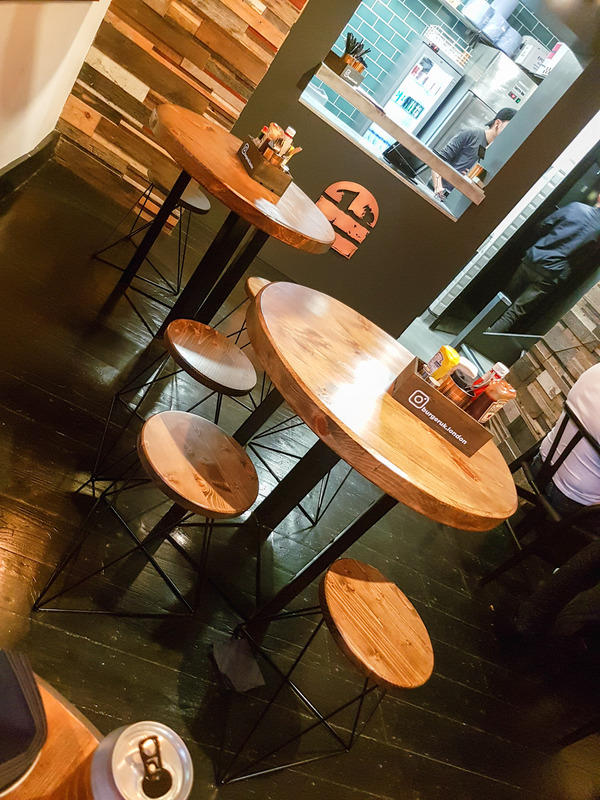 Obviously, I like my burgers and so do many of you, so, I decided to drag my burger loving mate along and give this place a go. 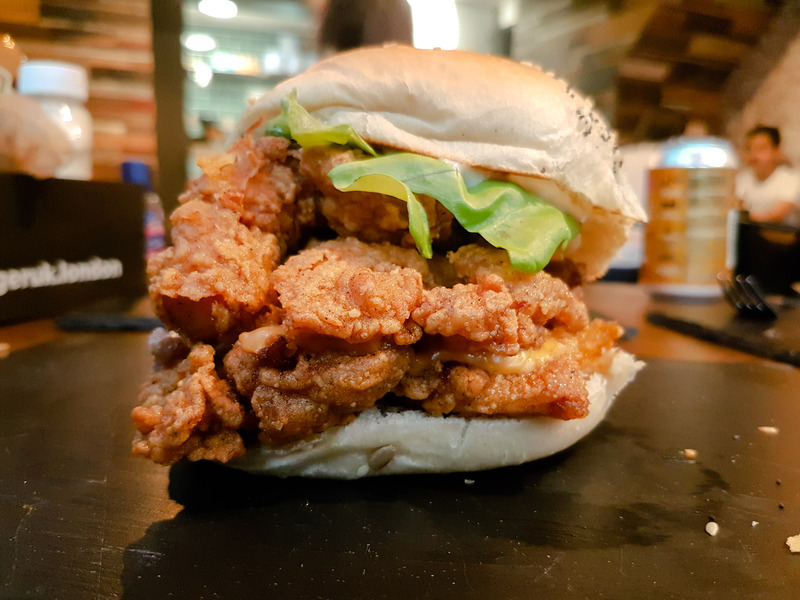 One of the things that drew me here was the fact that they had a fried chicken burger on the menu, a rarity amongst the halal burger restaurants in town. The first noticeable thing about this place is the location, it’s half way between chalk farm and Camden station and off a side street that doesn’t get much foot fall. The next thing is the size, this is a tiny shack, that, at best would hold 16 people max. Most of the seating consists of uncomfortable stools, but there are a few padded chairs. I ended up on a small table with some stalls. The menu at the time of visiting was very simple and small, reflecting the size of the venue. You order at the till and food is brought out to you. We started the night with a mix of chicken strips, one portion tender strips of deep fried chicken thighs covered in Teriyaki sauce and sweet and spicy sauce. The Teriyaki sauce needed improvement, it’s definitely not authentic and really didn’t work. However, the sweet and spicy was on point. 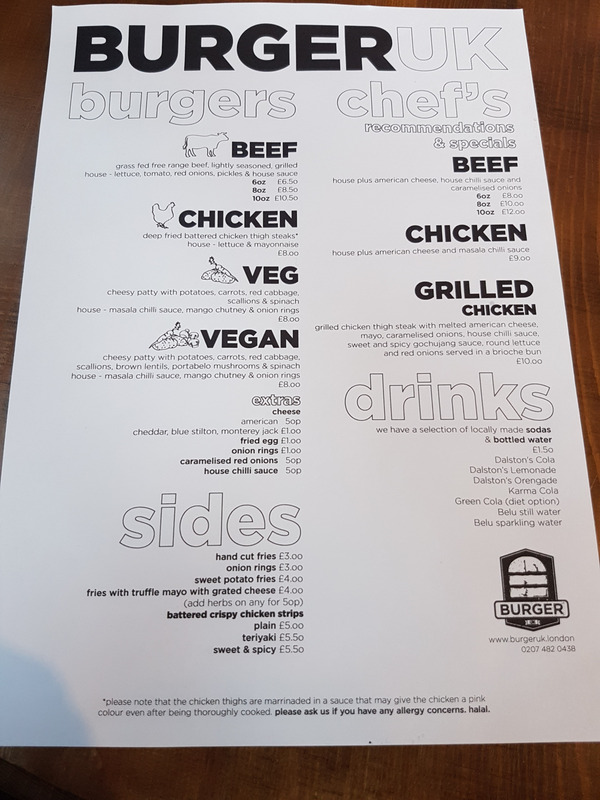 Burger UK uses chicken thighs, which is more tender and juicier but also less healthy and normally a cheaper cut, most places use chicken breast because it’s leaner and easier to cook. The advantage of this cut is that you can really maximise the flavour you get from the tenderness of the chicken thighs. 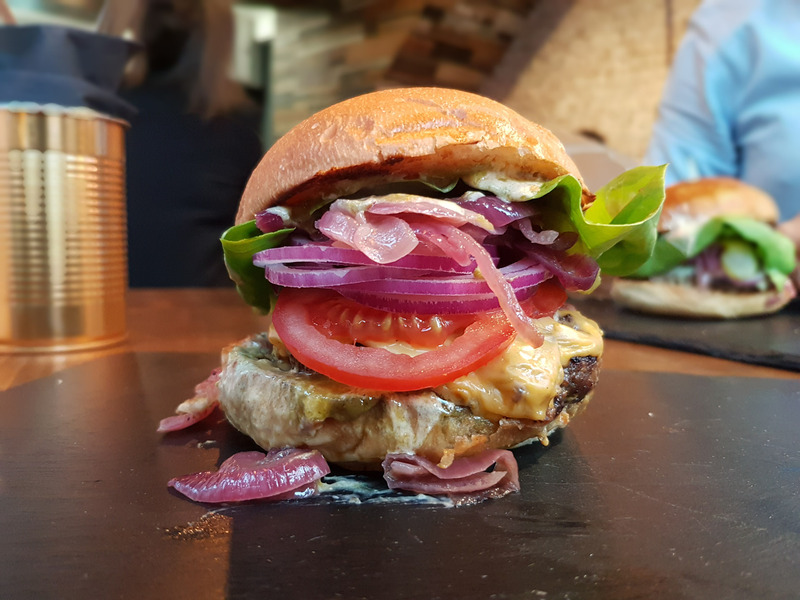 Next – the beef burgers, we kept it modest and went for the 6oz patty for both the classic and chefs special. Accompanying the classic, I added American cheese and caramelised onions. 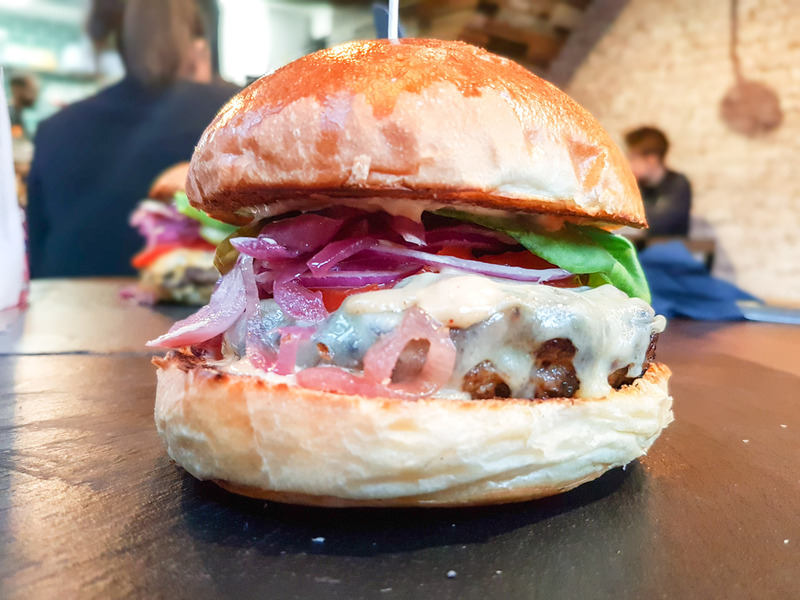 Looking at the burger you could be forgiven for thinking I ordered an onion burger. Looks like the cook really likes his onions – there were a lot of them! The kicker was that there weren’t actually any caramelised onions present, or if they were meant to be, they certainly did not undergo the caramelisation process. I had to remove most of the onions from my burger. The burger itself was not to my taste. My personal preference are burgers that are cooked on a hot plate grill and cooked with a dome to trap that steam and flavour. 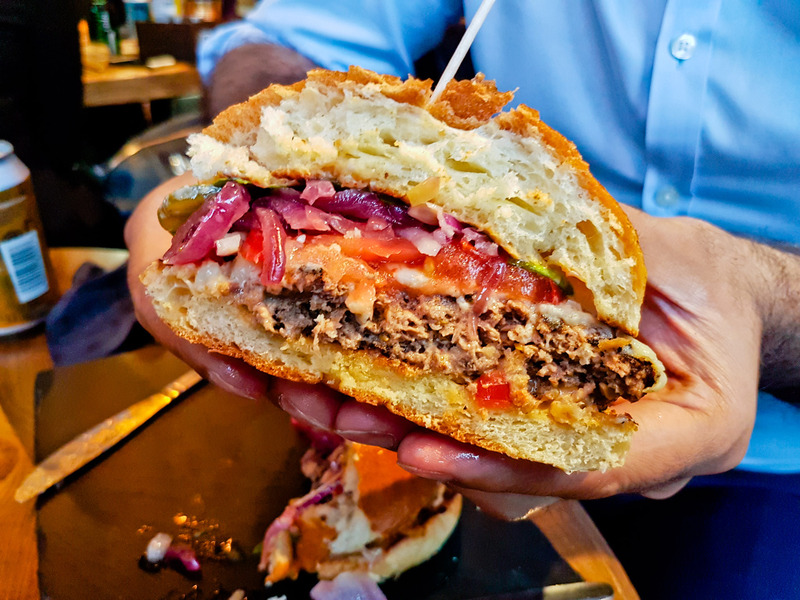 The burgers here are cooked on a traditional grill, so burgers lose a lot of their natural juice. Sadly, this burger tasted the same as so many other burger places that cook their burgers in the same way. 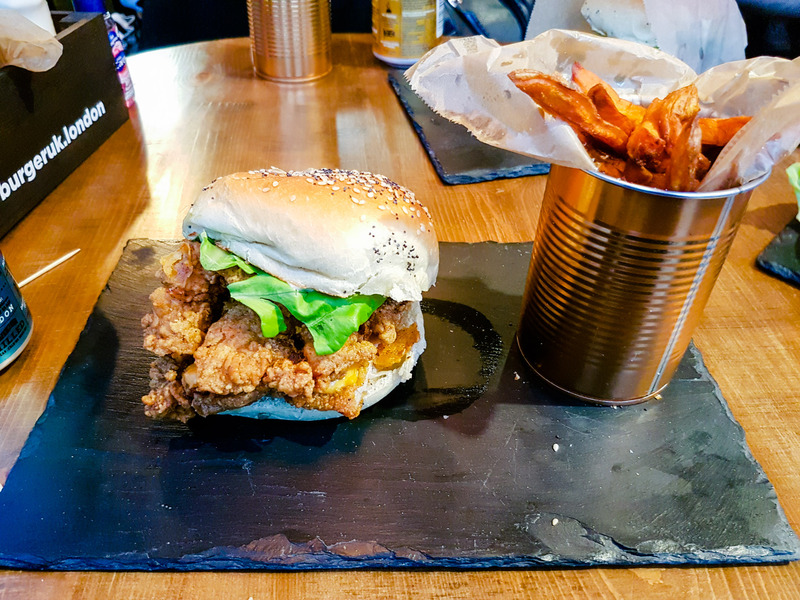 Next up, me and my friend both decided to get the fried chicken burger which is pretty hard to find, not many places do a deep fried chicken burger. So let’s talk about the good points. The chicken fillet was very tender, soft and juicy. 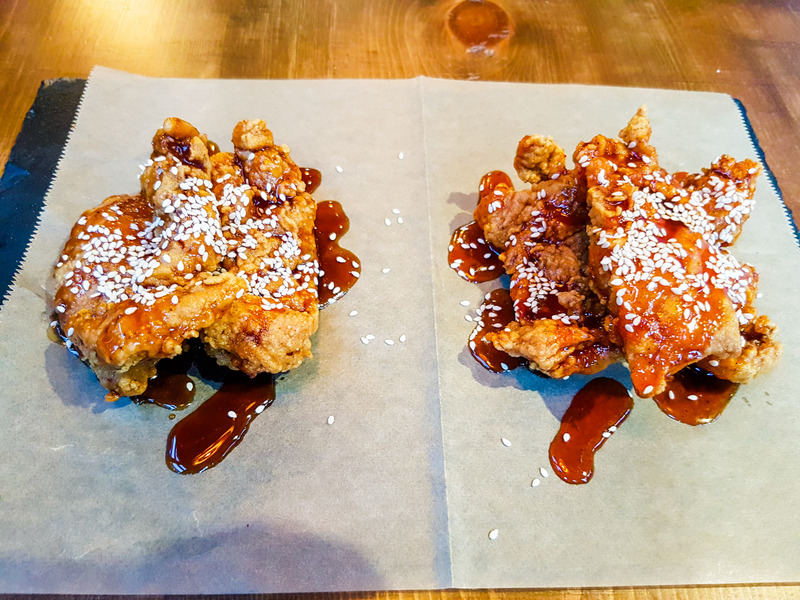 This is because they had used a chicken thigh piece, which is naturally tender and succulent, the batter was also crispy and cooked perfectly. However, I found the taste of the actual burger bland, I wasn’t picking up any hints of any of the herbs and spices. I tend to be more critical of food that I can make better myself at home and I believe one of the reasons my own chicken burger tastes great is because I use a blend of around 12 different ingredients; But with this burger I really couldn’t get any flavour other than the mayo, I think it may have been an off batch where not enough spices and herbs were used in the flour batter mix. Despite this, I have to state, it was really crispy, not oily, juicy, tender and cooked perfectly. Just lacked seasoning. I spoke with the owner in depth and passed on my feedback. 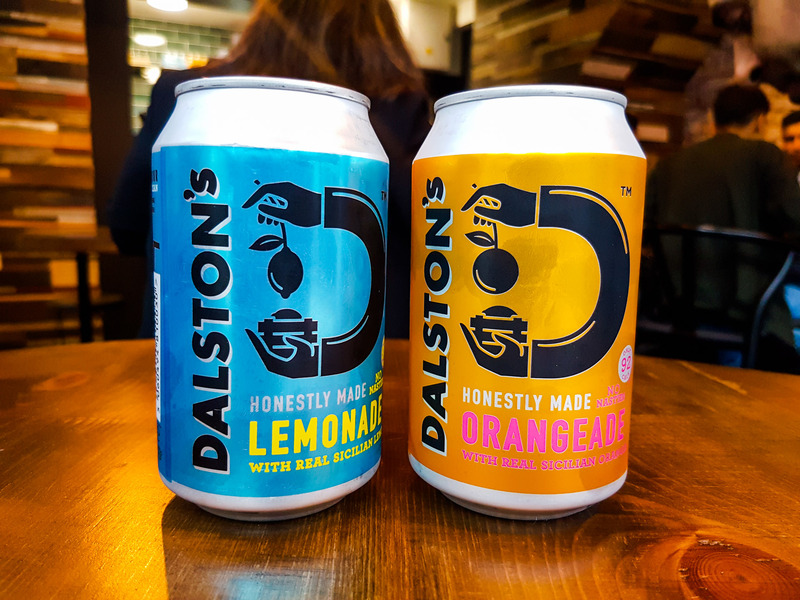 I must commend him on his vision and ethics of sourcing quality and halal ingredients, I like his idea of using free range chicken, grass fed beef, freshly made brioche buns and independent drinks, so no branded drinks like coke and sprite here, but hipster lemonade. Of course using quality chicken means it tastes better – but it also carries a bigger price tag, however, the prices are very good for the quality. The restaurant is still in it’s infancy and are still developing their recipes, flavours and balance of ingredients – granted I may not have been blown away with the end product and was a little disappointed with the burgers, but I can see the potential with a few more tweaks, (and we are taking slight tweaks) the chicken burger, in particular, will be a winner. I was invited to review, the meal was complimentary. 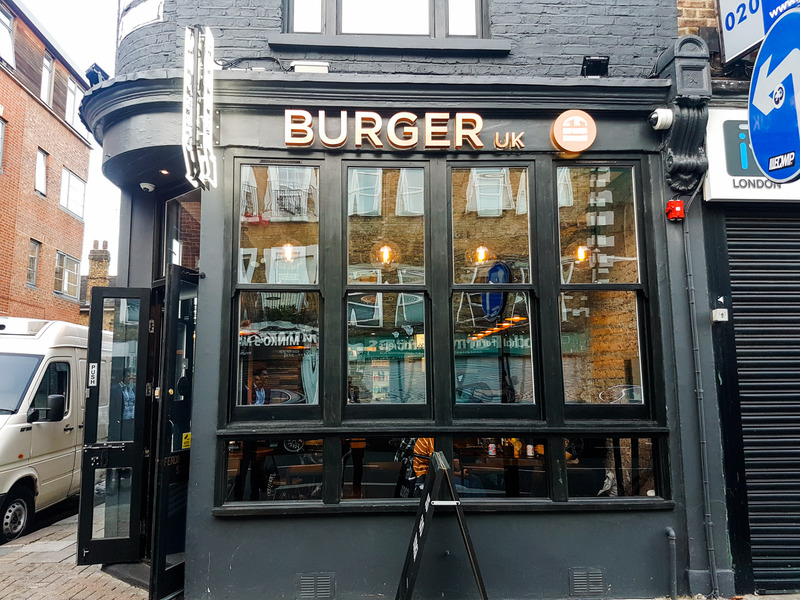 Hey Buddy!, I found this information for you: "Burger UK". 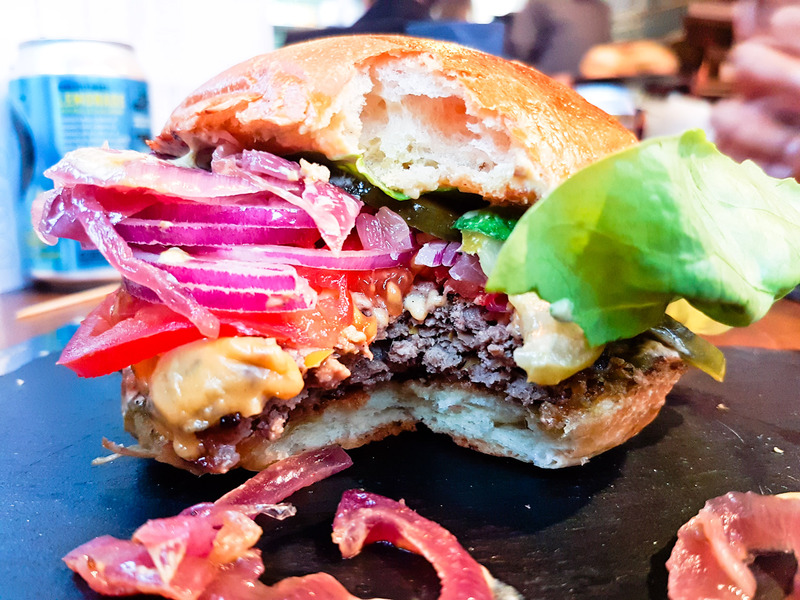 Here is the website link: http://halalfoodguy.co.uk/burger-uk/. Thank you.